Frank R. Galante, 93 of South Orange and Boca Raton Fla., formerly of Vailsburg, Newark passed away peacefully on May 31, 2016. A Funeral Mass will be celebrated at Our Lady of Mount Carmel Church, 259 Oliver Street Newark on Saturday at 10:30 AM. Entombment will follow at Hollywood Memorial Park in Union. Visitation will be held on Thursday from 1-5 PM and Friday from 2-4 & 7-9 PM at the Galante Funeral Home, 2800 Morris Ave. Union. Born in Newark, Mr. Galante lived in the Ironbound Section before moving to Vailsburg in 1950, and finally to South Orange in 1978. He proudly served his country in the Navy attached to the 4th Marine Division during World War II, seeing action as a Corpsman in Saipan, Iwo Jima and Tinian. After the War, Frank attended McAllister School of Embalming in New York City, graduating with a degree in Mortuary Science in 1947, and earning New Jersey License #1842. He worked with his mother Elvira Galante (nee Biondi) and brothers Richard & Joseph for the Galante Funeral Home in the Ironbound Section, eventually expanding to new locations on Sandford Avenue in Vailsburg in 1950, Union in 1965, and Caldwell in 1974. Always a forward thinking leader in his profession, he was elected President of the National Funeral Director's Association in 1973. As a well respected man, Mr. Galante's strong and authoritative presence, though intimidating to some, really encapsulated his persona. His piercing whistle commanded your attention if he didn't already have it. A mentor and friend to many, he expected only the best. He was the picture of class at every level, and through his eight decades of service, guided countless families through the most difficult time of their lives. He was most passionate about his funeral homes, and he ran his business until he physically couldn't climb the office stairs anymore. Mr. Galante grew his funeral homes with reverence and compassion, and eventually saw his sons, daughters-in-law, nephew Richard J. Galante, Jr. and grandsons join him. He taught them all his passion for service, held them to the highest of expectations, and groomed them to carry on his legacy. A member of many organizations throughout his career, including Past-President of the Vailsburg Lions Club, Charter Member of the Knights of Columbus Regina Pacis Council #4066 Vailsburg, Creator of the Joseph P. Lordi Memorial Scholarship Foundation, Member of the Joseph P. Miele Foundation, Past-President of the State Board of Mortuary Science of NJ, Past-Commander of Amvets Post #56 of Newark, Past-President of the Columbian Foundation, Member of Essex, Union and West Hudson Funeral Director's Association, NJ State Funeral Director's Association, and National Funeral Director's Association. 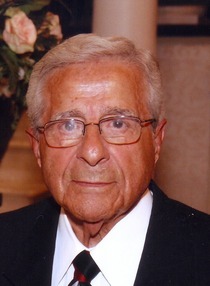 Frank was the beloved husband of 67 years to Frances (nee Vasselli); loving father of Frank Galante and his wife Brenda, Victor J. Galante and his wife Francine, and Steven M. Galante and his wife Loretta; proud grandfather of Victor Galante II and his wife Krystal, Dina Galante, Steven Galante, Cara Scagliozzi and her husband Nicholas, Jason Galante, Frank R. Galante and Rachel Galante; and great-grandfather of Victor III. He was also the brother of Joseph A. Galante and his wife the late Theresa, and the late Richard J. Galante and his wife the late Phyllis. He is also survived by many nieces, nephews, friends, relatives and colleagues. Mr. Galante was truly a one of a kind man, who's respect was earned. He will be deeply missed. His memory will live on in the many people influenced by him throughout his illustrious life and career. Flowers would be appreciated, or if preferred, donations may be made to Our Lady of Mount Carmel Church, 259 Oliver St. Newark, NJ 07105, or to the New Jersey Funeral Service Education Corporation.